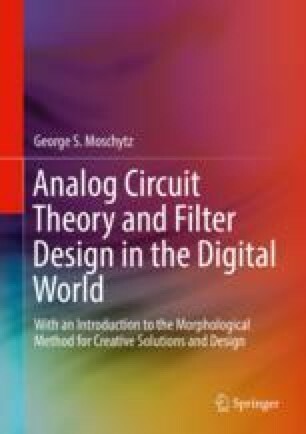 In the early years of the emerging new discipline of switched-capacitor (SC) filters, a large number of design methods for SC filters were suggested. These methods can be divided into the following four groups: (i) derivation from active-RC filters, (ii) derivation from passive LC filters, (iii) derivation from digital filters, and (iv) direct synthesis from the transfer function. As we shall see in the course of this chapter, the two methods that have been adopted and put into practice most widely are methods (ii) and (iv). There are various reasons for this, but one that is among the most significant is related to the problem of parasitic capacitance as will be discussed in this chapter.